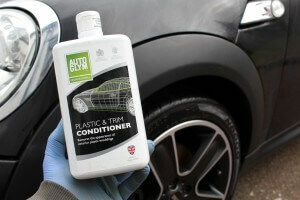 Autoglym Plastic Conditioner is the trade name for Autoglym Bumper & Trim Care. We put it to test to see what it’s like. It will be reviewed as both names as they are the same product, just different labels and usually a larger more economical size. What Is Autoglym Bumper Care? Autoglym Bumper Care is a gel based product which is designed to restore and protect the appearance of all unpainted plastic & rubber surfaces such as bumpers, mirror casings, trim and tyres. 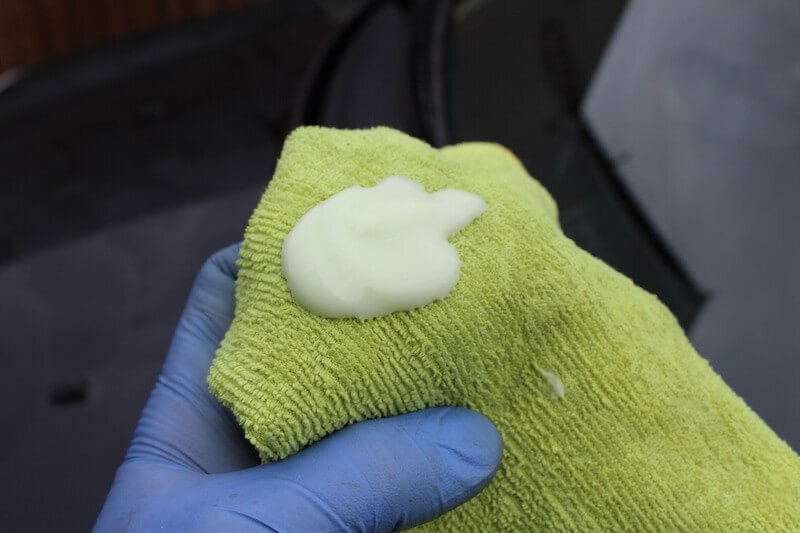 The original version which is still sold as Autoglym Bumper Care, is a thick dark green liquid which has to be shaken before, during and after use due to its oily consistency and tendency to separate. The newest version which is reviewed on this post is available as Autoglym Plastic Conditioner and conveniently comes in a larger bottle at a better price. The latest version of the Bumper Care (Autoglym Plastic Conditioner) is still a green liquid but has a far more consistent appearance and is far lighter in colour than the older version. It no longer needs constant mixing which makes the product more consistent in use but does apply in practically the same way, although the newer version does make it quicker to apply. On first appearance Autoglym have obviously changed their labelling and updated their branding which I like and clearly shows which area of the car their product is designed for with a 3d blueprint of a Jaguar with the targeted area highlighted in the same colour as the product colour. However things get even better when you open the lid and take a sniff..! Autoglym Plastic Conditioner has the smell of sweet apples mixed with sweet shop; I can’t imagine it will help the product perform but makes it so nice to use getting that sweet shop scent every-time! The product itself is a fairly thin gel-like consistency which makes it easy to dispense which is helpful as depending on the condition of the trim you are dressing, may need a couple of coats if fairly faded but newer trim will easily be covered in one application. 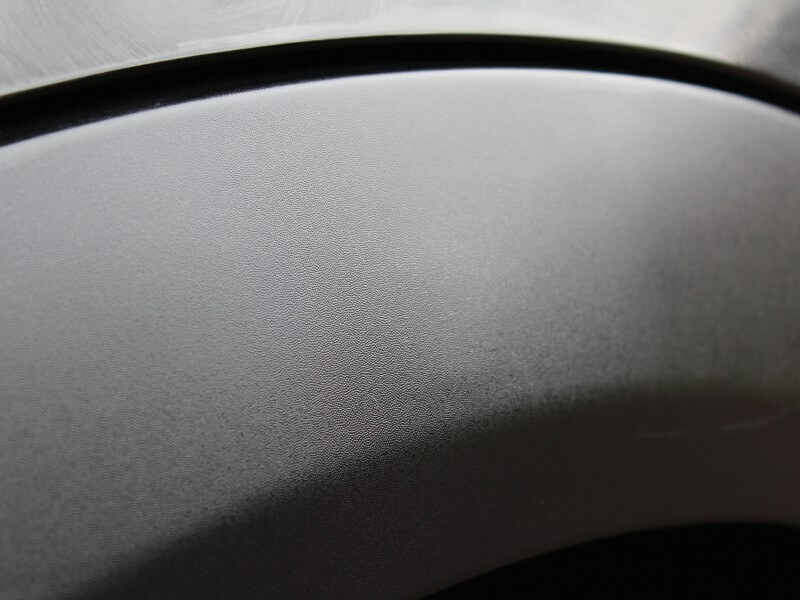 For this Autoglym Plastic Conditioner review we used a microfibre towel to apply the product as the microfibre helps to clean out any last traces of dirt as well as apply a thin and even coat. If you prefer to use an applicator then Autoglym sell a new version of their dressing applicator or you can just use a piece of car sponge cut into a small section but the nice design of their applicator makes it easier to dress the trim very neatly right up to the edge. The Mini Cooper S we used it on only needed one application and completely restored an as-new look to the trim. It is easy to apply, especially with a microfibre, but for more weathered trim it can be best to use a piece of sponge to ensure a slightly thicker application which can be left to soak in before buffing any excess. Autoglym also recommend a piece of cotton stockinette for application which can provide an economical option however we personally found it can leave a little bit of lint. Whereas using a microfibre to apply it does the job of restoring your trim leaving a far better finish. You can see on the picture above that even after one application the trim is clearly improved and an as-new finish restored. NB: If you are wondering why the car is white and hazy, we always apply polish like Super Resin Polish before applying dressings to make it easier to remove any excess dressing as well as saving time by buffing the polish and trim in one go. 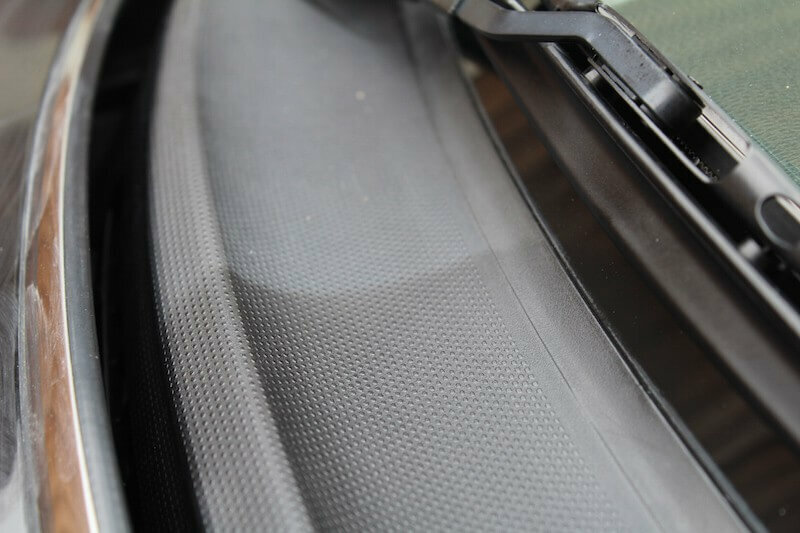 Autoglym Plastic Conditioner will also protect your trim against road film and dirt as well as fading so regular use (every couple of months) will continually preserve your trim and unpainted parts. As well as being ideal for unpainted trim and bumpers, bumper care is also great for restoring parts such as the trim at the bottom of the windscreen or even windscreen wiper holders. 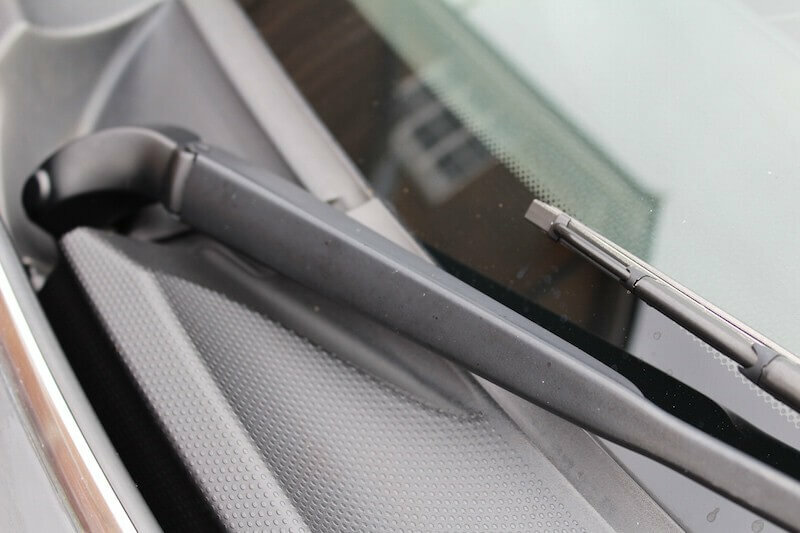 We also tested the plastic conditioner on the wiper blades as its commonly recommended by other users to restore and protect these parts. I applied the first coat which makes an instant improvement but was still slightly weathered looking. So I applied a second coat and buffed the finish and while it is clear that its made an improvement it doesn’t quite make it look like new. You may be able to see ‘streaks’ on the finish which were evident even after buffing; another reason to use the right product for the job! 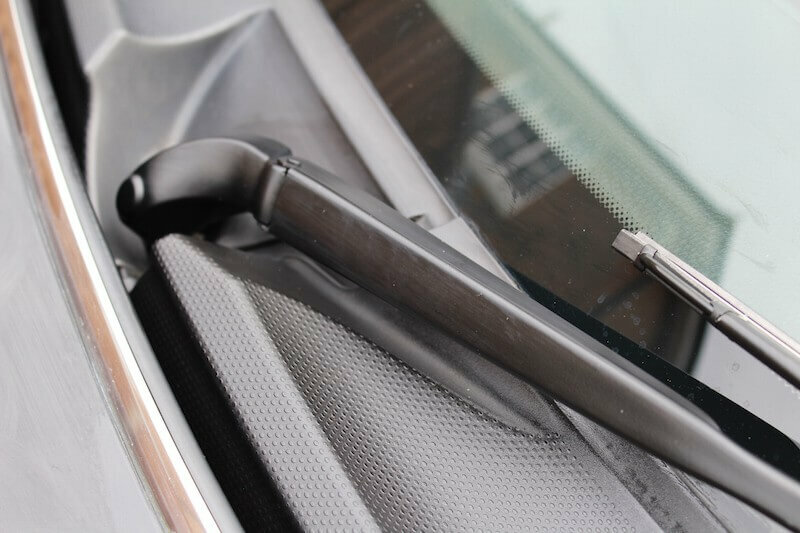 However this is understandable as its not designed to do this as its designed to be able to soak in and dry onto plastic and rubber surfaces which are far more porous than the metal wiper blade arm. Something like Super Resin Polish would be far more suitable as the polish still contains silicone to restore the weathered finish but also apply a sealant to preserve the finish and make it easy to buff to an as-new finish. The updated version of the Autoglym Bumper Care is a lot easier to use and is very quick to restore weathered trim. Even trim that doesn’t look that old or weathered will really benefit from regular treatment as it not only restores appearance but protects from it fading in the future and makes it easier to clean with the special tough polymers it leaves behind. 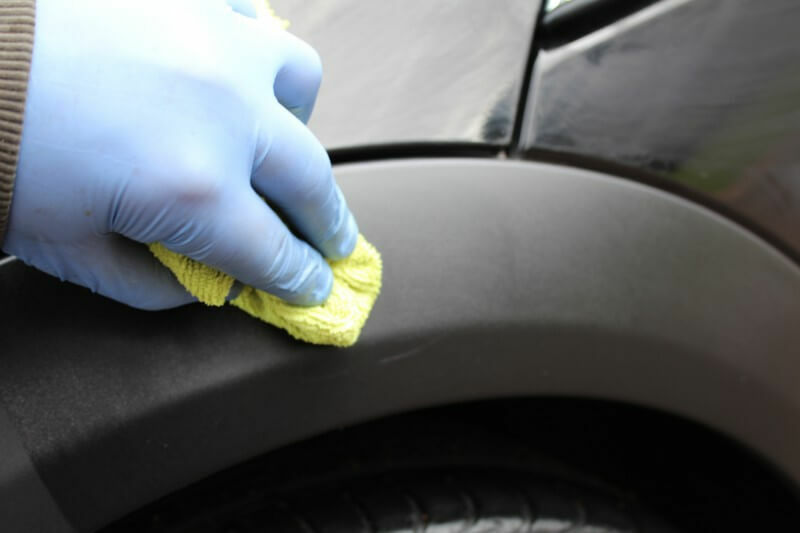 It is used daily for our professional valeting services as not many other products are as easy and effective to use. For best results I would recommend either a sponge for minimal product usage or a microfibre for the easiest and most effective application. It will need to re-applied every couple of months but maintenance is easy and simply requires cleaning your car with their Shampoo Conditioner or, our preference, their cherry scented ph-neutral Autoglym Shampoo. Either of these shampoos will clean the trim dressing without removing it so can be used as often as required. The larger 1 litre container will easily last a couple of years so is also very economical and the initial cost is worth the time and effort saved! 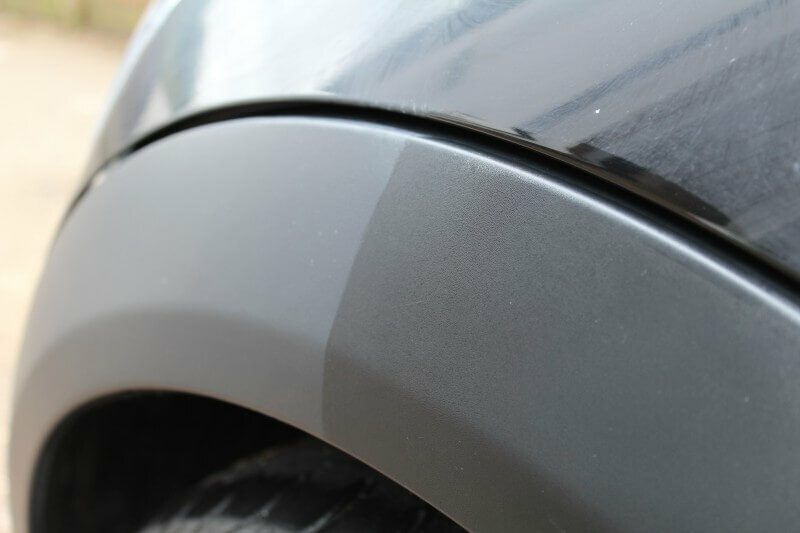 The only other product that we use for trim restoration is Auto Finesse Revive but is mainly kept for new or well-maintained cars as it slightly struggles on more weathered finishes. Want to find out more? See what others are saying about Autoglym Plastic Conditioner and read more reviews on Amazon. Pity Autoglym have changed their labelling. It had a unique and classy minimalist look with just the different coloured label in the centre. It now looks like everything else in life now – desperately conformist, predictable and BORING. What a mistake.